In its latest "Hot Wheels" report, the National Insurance Crime Bureau (NICB) has identified the 10 models on the discriminating car thief's wish list, and there's not a Lexus or Mercedes to be found. NCIB says there were two trends in 2017 car thefts. Criminals once again picked popular models, but they also looked for vehicles lacking the latest anti-theft technology. That made the 1998 Honda Civic 2017's most-stolen car. NCIB numbers show thieves made off with 6,707 1998 Civics last year but stole only 388 2017 Civics, which are equipped with more sophisticated anti-theft technology. Thieves also value older Civics because there are so many of them still on the road. Stolen Civics are often stripped down and sold for parts on the black market. The 1997 Honda Accord is second on last year's most stolen list, with a total of 6,301 thefts. Pickup trucks were also popular targets last year. More than 3,000 2006 Ford pickups were stolen last year, along with nearly 2,000 2004 Chevrolet pickups. Thieves didn't completely ignore late model vehicles. Among the 10 most stolen cars last year were the 2017 Toyota Camry, 2016 Nissan Altima, 2016 Toyota Corolla, and 2017 GMC pickup. The Altima, Camry, and GMC pickup were the most stolen models last year, regardless of model year. Vehicle thefts have increased slightly in the last few years, but even with those increases, NICB says car thefts are near historic lows. While anti-theft technology is helping, the group says driver complacency often undermines these protections. 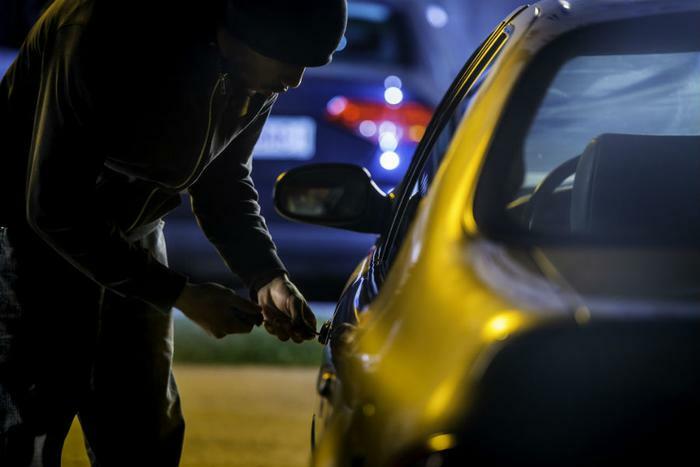 NICB says thousands of vehicles continue to be stolen each year because owners leave their keys or FOBs in their vehicles, and that invites theft. In a 2016 report, NICB said the number of vehicle thefts caused by the owner leaving key FOBs in the vehicle climbed 22 percent. The group speculated it was actually much higher, since many owners might not want to admit they made it easy for the car thief. “Anti-theft technology has had a tremendous impact on reducing thefts over the past 25 years, but if you don’t lock it up, it’s not going to help,” NICB President Joe Wehrle said at the time. “Leaving a vehicle unlocked or with the key or FOB inside gives a thief the opportunity to take not only the car, but also any possessions inside. It can also provide access to your personal information if the registration is left in the glove compartment." Besides common sense precautions, NICB recommends features that make a car thief's job much harder. "Kill" switches and fuel cut-offs can make it more difficult for a thief to start your car. The group says a tracking device, which emits a signal for the police to follow, can make it more likely your stolen car is recovered.